In the 1934 film version of "Baby Take a Bow," characters played by James Dunn and Shirley find stolen pearls. One private investigator brings about two unjust prison sentences. • He continues his harassment with the convicts’ parole. Will friendship and love keep two ex-convicts on happy paths in “Baby, Take a Bow”? • "Bright Eyes," released on December 28, 1934. New York City native James Howard Dunn, scion of a Wall Street stockbroker, traded Wall Street for vaudeville after three years in the family business. • His dedication to his craft, despite ongoing struggles with alcoholism, culminated in receiving an Oscar as Best Supporting Actor for his role in "A Tree Grows in Brooklyn" at the 18th Annual Academy Awards in 1945. • His memorable role as deadbeat Earl Morgan, a concocter of "get-rich-quick" schemes, in "It's a Great Life" from 1954 to 1956 expanded his acting range and endeared him to television audiences. * After he appeared in the dramatic feature film "The Oscar," released on March 4, 1966, James' film career abruptly ended with his death, two months' shy of his 66th birthday, from complications following abdominal surgery. 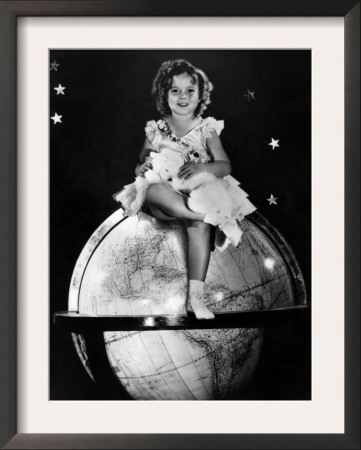 James Dunn and Shirley Temple sparkle in singing and tap dancing duets in "Baby Take a Bow": they appeared charismatically together in four movies in 1934. Second chances abound in Baby, Take a Bow by writers Philip Klein and Edward E. Paramore Jr.; producer John Stone; and director Harry Lachman. L William O’Connell, Alfred deGaetano, and David Buttolph handle cinematography, editing, and music. Filming showcases California’s Movietone City. The 76-minute comedy drama adapts James P. Judge’s 1927-presented play Square Crooks. Its distributor was Fox Film. Its USA-release date was June 30, 1934. After release from infamous Sing Sing Prison, James Dunn as Eddie Ellison seeks a second chance at a better life, especially after starting a family. The movie begins with Larry Scott (Ray Walker) punching fellow train passenger Private Investigator Welch (Alan Dinehart) for harassing Kay (Claire Trevor). Sing-Sing’s warden (Samuel S. Hinds) congratulates Eddie Ellison (James Dunn) on his 4-months-early release. Eddie credits Kay’s 18-month wait. Taking Jane and Kay to the Cameo’s “10,000 Years in Sing-Sing”. Eddie and Larry are fired on Shirley’s birthday. Eddie and Shirley dance and sing “On Account-a I Love You”. Eddie gives Shirley the best gift: a ballet dress, not dollhouses or roller skates. A radio news release interrupts to report the Carson necklace theft. Larry recalls Popular Mechanics‘ article about Zulus sewing jewels under their skin. The coffeepot, then the carpet sweeper by Eddie. Welch halts the search of Eddie’s apartment. He is back before Eddie and Kay open the sweeper. Welch opens the sweeper, which maid Anna (Lilian Stuart) previously empties. Shirley finds the necklace in the garbage. She goes to show Eddie. Trigger is left restrained while Shirley’s parents get the police. Convincing her to help him fool Eddie. Trigger grabs Shirley. Shirley screams. Trigger takes Shirley hostage when Eddie, Kay and police hear and react to the shouts. Welch tumbling through the skylight onto a bed in the apartment on the floor below. 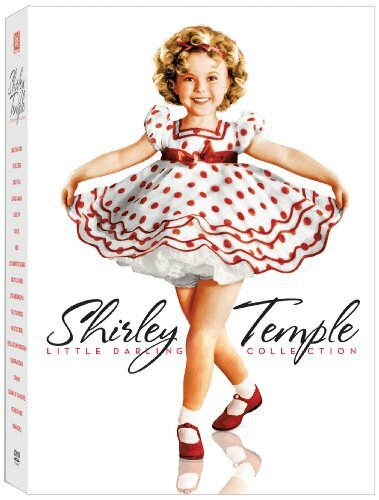 Shirley Temple Little Darling Collection (18 DVD Boxed Set) ~ 18 films including "Baby Take A Bow"
How do characters played by Gary Cooper, Carole Lombard, and Shirley Temple like living in Paris in the 1934 film version of "Now and Forever"?